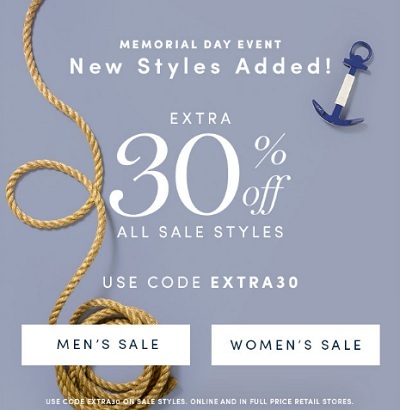 You have a great chance to save during Memorial Day Sale 2016 at Cole Haan stores in the U.S. and Cole Haan online. Get an extra 30% discount on all sale styles. To receive this amazing offer use promo code EXTRA30. Source of the information is Cole Haan. Offer expires on Wednesday, June 1, 2016. For more details visit your nearest Cole Haan store location or official website.